Almost two years ago I started colouring and I would not have believed then, what I have coloured this week. A German architect, Paul Decker, known for his monumental, Gothic and Baroque architectural drawings, visited China, drawing what he saw there. In 1795 his two volume work was published. In 2016, Heidi Berthiaume, inspired by his Chinese gate drawings, put together this book of his designs for us to colour. I have now found my second finalist for my personal Books of the Year lineup. 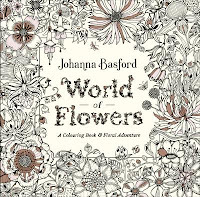 The other book is Floribunda. 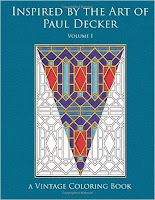 Who will love it - those who like geometrics and patterns and those who are interested in historic designs and stained glass. 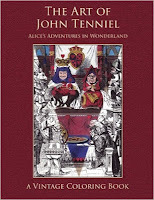 "The Art of John Tenniel - you can read about it here. I needed to look closely through this book before the idea hit me to colour the design above as stained glass. 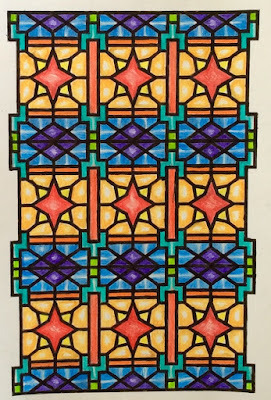 My father used to create stained glass pieces so it's always been an interest of mine. It's something I want to get a lot better at too. However, you can do many things with these designs. 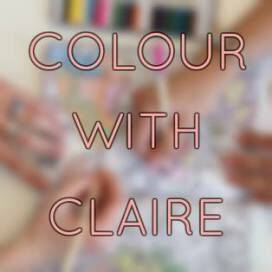 Colour them just as they are or maybe trace other images on to them and colour them as more detailed mosaics or stained glass. 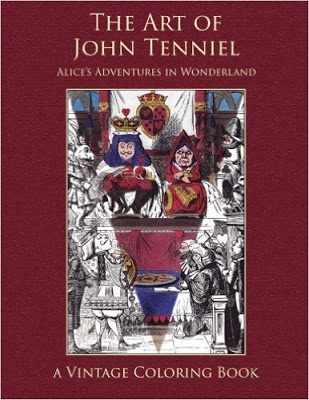 In the second half of the book Heidi has given us the postcard sized initial image that she built into the larger designs, so you turn these into cards maybe as well. Here we have consistent line width and some images are a little more detailed than others. 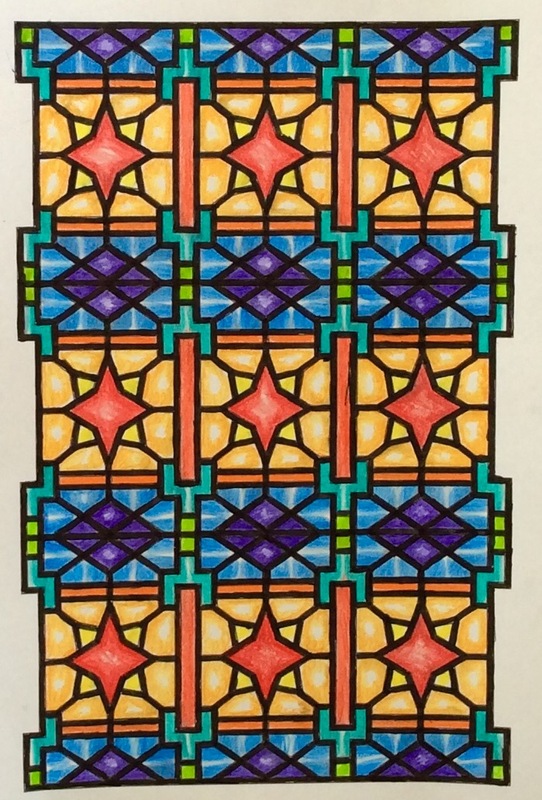 You may need to use fine liners or Verithin pencils to get into the corners. All images are bordered and are on single-sided pages. There are 20 full page designs and 20 smaller key images (4" x 6"). The book opens with an introduction by Heidi, giving you some colouring suggestions. The paper is white and medium quality so you should put a sheet of card or paper behind the image you are colouring, to protect the following drawing. At the back of the book are several blank pages for you to try out pens and maybe note down ideas. Quelle Surprise - review is here. Escaping a Downunder Winter - review is here.